More AMT news, Montreal commuter trains are on a roll. 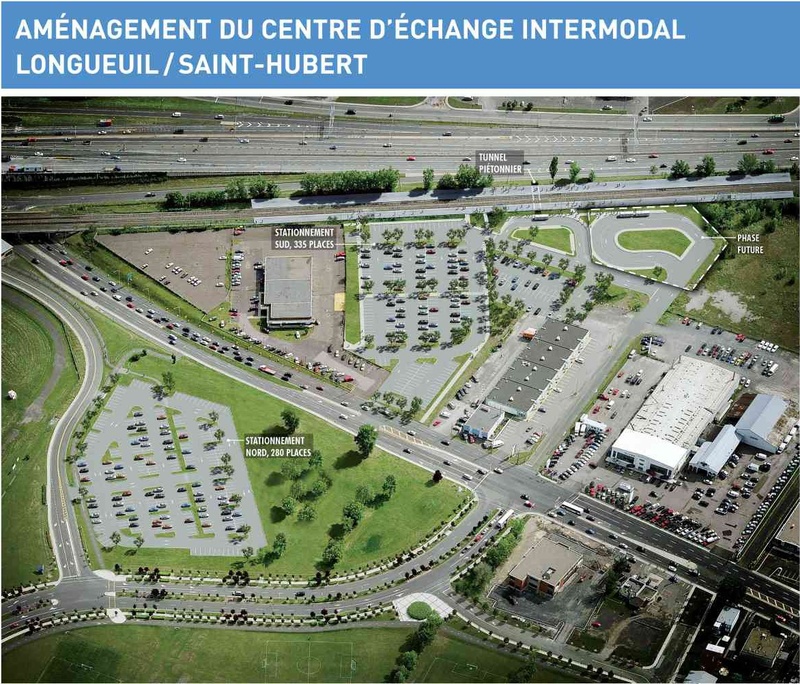 On Friday the agency announced that 19.7 $ Million, compared to the originally budgeted 6.8$ Million, will be spent to rebuild Gare Saint-Hubert into a more permanent commuter rail station. 75% will be paid by the Ministry of Transport of Quebec, the rest by the AMT. The station with rebuilt platforms will include 335 parking spots (on top of the existing 280), a tunnel to connect both platforms, a new ticket vending machine and shelters for rail users. Bids will start in winter 2011, and the construction is scheduled for summer 2011. Nowadays when I hear inter-modal station, I think trains and cars. It is good that drivers are encouraged to leave their car in the ‘burb, rather than congest them into downtown. 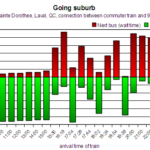 But it seems to me that this focus on park-and-ride facilities ignores the fact that the RTL, which serves the greater Longueuil area, provides some of the best bus service a suburb in North America can provide. It is ironic that the cost increase seems mostly for the benefit of car users. The parking lots apparently add a lot of cost. 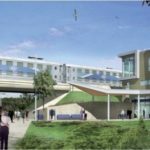 Yet, it takes up valuable real estate around a train station that is only going to see service increases in the coming years – an ideal place for transit-oriented development. I’ve written about the hidden problems with parking before, but it should be fairly obvious that here, it will force developments away, not promote a transit-dependent life style, and encourage sprawl. At the same time, there are some that claim that the ability for park-and-ride to attract transit users is a myth. Every parking space represents only one extra rider (maybe 1.3) on the trains. 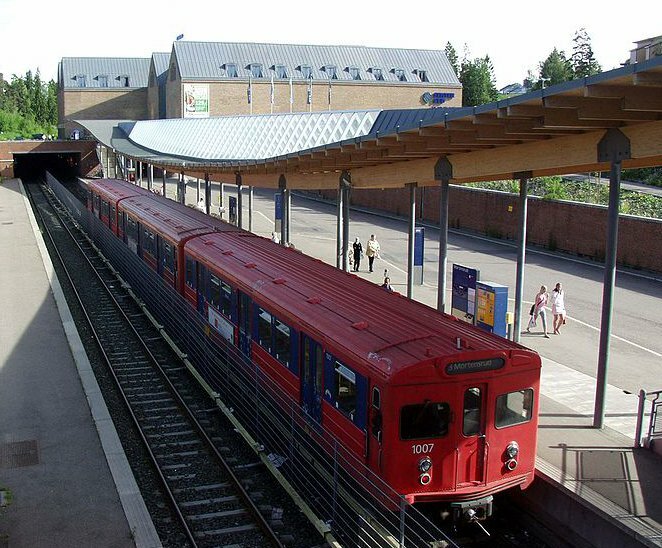 Yet despite not being an ‘intermodal hub’, the station is already served by three bus lines (8,28,88), which together have about 150 departures on a week day in each direction. If ones assumes 10 riders per bus (a very low estimate), it means that about 1500 people can reach the station already – more than twice the capacity of the planned parking lots. And this number could easily be increased when the buses are scheduled around the train station to be a hub – at a fraction of the space(=cost) used by cars. From the planned picture above, and given how much parking space will be added, it is hard to see how these goals will be met. 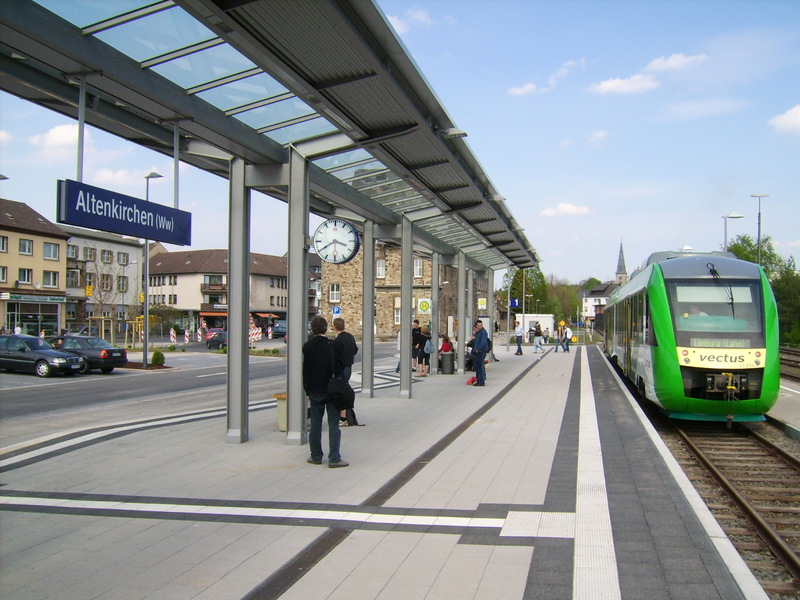 Intermodal Station Altenkirchen (Pop. 6700), Germany. The rail line is single tracked, so all trains stop there. Conceivable would be a station with two intermodal platforms – in the morning all buses could stop at the platform with the trains going downtown. In the afternoon they could stop at the outgoing platform. Whoever is going against the flow has to go through the tunnel. If the station is reasonably sheltered, transit riders could switch from bus to train without much effort, and without rain or snow. Now that could provide a ride comfortable enough to persuade drivers to leave their car at home, while rewarding those who do that already. At least in the press release they mention an intermodal connection with the RTL. I live in Saint-Hubert near Cornwall between Cousineau and Chemin Chambly so I have access to both the #8 and #88 and tried one summer the train/bus transfer. It was awful. Going to the Gare I had to get off the bus and trek for ten minutes; going home was another trek and a half to find a stop on the eastbound side of Chemin Chambly (not an easy task!) OR walk under the Route 116/rail overpasses and take the bus near the Costco on the other side of the tracks. Yuck! 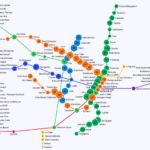 If they actually provide an easy transfer with the 8/88 I might have a new route (or at least viable alternative) to my #42 (I work next to Gare Centrale across from the TCV so I’m spoiled). And I agree, the RTL is an incredible service for a North American suburb and rivals many inner-city transit corps, I’d argue. Thanks for the comments! And we are definitely hoping to provide better service to the train station once access is improved (with the new station).